Whether you have been challenged to integrate STEM concepts into your PE class, your school is having a STEAM activity day/night or week, or you are looking to partner with Science and Math teachers in your school to enhance learning for your students – we have gathered up a few activities to inspire you. We are also excited about our new online course on how to incorporate STEM/STEAM in Health and PE. Why You Should Try Teaming Together STEM and Physical Education? We have heard from many PE Teachers that finding activities that incorporate STEM are not exactly “easy”, but the benefits of doing so can be very beneficial to students. Research from our friends at Active Schools tells us that kids who get at least 60 minutes of physical activity each day are more successful in school. 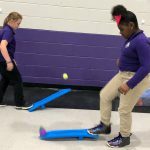 PE Teachers that are actively pairing STEM and PE by incorporating physical movement into lessons are seeing the effects it has on the retention and understanding of important science and math concepts. 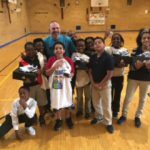 “For example, our students learned the science behind sports and how they relate to each other. Science, health,and physical education blend well…These hands-on experiences activated the brain and body to learn the STEM concepts. The students preferred this type of learning, ” says Steven Joyce, a K-5 PE Teacher at Newton County Theme School in Covington, GA. Read how he and a few other PE Teachers have been working hard to incorporate STEM into their programs here on page 9 of this National Science Teacher’s Association Report. Many of the same concepts learned through STEM Education, like critical thinking, problem solving, creativity, curiosity, flexibility and data collection, are used in a Makerspace. A simple MakerGym Project could be to create a station using a piece or pieces of equipment that you pre-designate. Split the students into groups at their stations. Give them limited guidelines (example: create an exercise routine that is 3 minutes long), time to complete, and make sure any safety precautions are reviewed. Once time is up, have the students pair up with another group and complete the stations. Some other elements to think about when doing this are to add that the exercise must be something the whole class can complete. By having something to judge the success of the project, it allows students to make adjustments and changes to their creation in order to improve it. Give them time to “learn from failing” on anything that needed work. You can also have the opposite group rate their exercise based on a series of questions, and then give it back to the group to try and improve on. 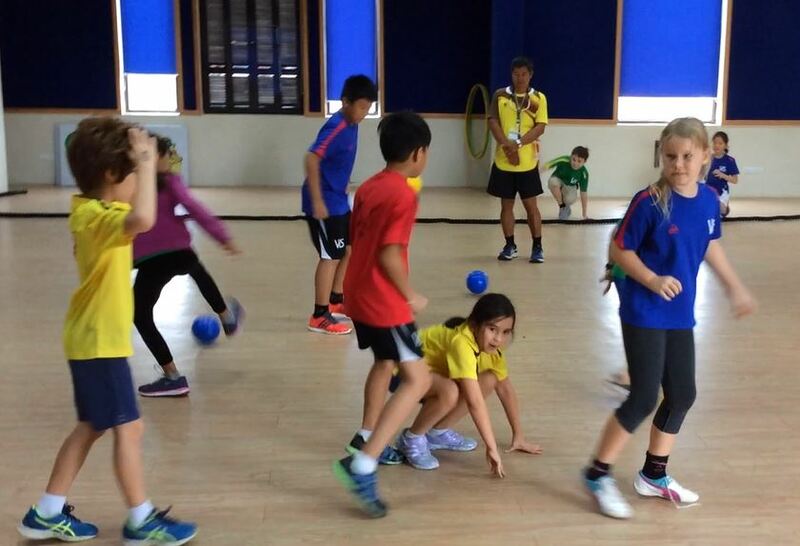 This can be done for a dance unit (creating a dance), students can also make their own games where there is point scoring (you can add elements such as limiting it to two different pieces of equipment), or a game that involves a skill demonstrated in one of your units (basketball-dribbling, locomotor-skipping, etc). There are so many opportunities with Speed Stacking Cups to incorporate STEM. One way is by data capture. Split students into groups and have them determine the different ways you can stack the cups to have the fastest time. Then have each student do multiple attempts each way and document the times. Which way was the fastest? How did their results compare to the other groups? Was there a way that they did not try that was successful for the other groups? This will allow students to chart their results, as well as chart all the results as a class and compare. Also, a great opportunity for PE Teachers to partner with Math Teachers for a combined lesson. Another activity we love for combining STEM and Speed Stacking Cups, or even red solo cups, is with a challenge. There are a few things you can give students to complete this challenge, but the most popular are a rubber band and 4 pieces of string. For everyone to be able to participate, it is best that you split groups into four. If your class is large, students can take turns, or have some take on the role of time keeper, or someone can direct the group while they are stacking the cups. Give students a time limit to devise a way to stack the cups without touching them with the items you have given them. Also, some teachers have added the challenge of having the students only be able to communicate through non-verbal skills and provided a dry erase marker and board. Then when students feel they have their best time and method, they can challenge other teams. Leave time for them to practice and improve. Tip: Moderate this activity for younger groups that may not be able to figure out how to stack the cups. You could have it pre-tied for them, or let them hold the strings closer to the rubber band instead of at the ends. See below and the link for this challenge in action from @purely.primary on Instagram. Different subjects interest different students. Engaging those that love sports or science in a STEM based sports activity can be very rewarding for your class. Many people do not realize the important role that STEM can play on taking sports to the next level, but many professional athletes and organizations are making strides towards bringing the attention to students. 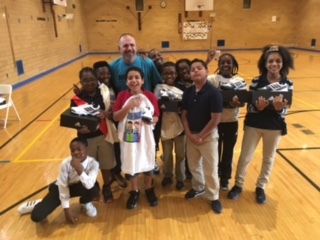 See below for an example from the Chevron STEM Zone that capitalize on Science and Math lessons through Basketball. Perfect for March Madness or your Basketball unit! Find the rest of the activities here at Getting Smart. Heart Rate is something that most physical education and health teachers are alrrady educating their students on. This activity will add a math, science and technology component while students learn about heart rate and it’s importance in relation to sports medicine. Students will compute their own heart rate after various activities and graph the results. They calculate the target heart rate and answer critical thinking questions. Which activities do they think will cause their heart rate to increase the most? After computing their resting heart rate and then completing an exercise, they can then guess what their heart rate might be for each exercise. To lengthen the study, you could have them track their heart rate for these exercises over a period of time and build a hypothesis for their results. 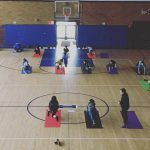 For an example of a PE Teacher incorporating Heart Rate Monitors and STEM Education in their program, visit spectrumlocalnews.com. 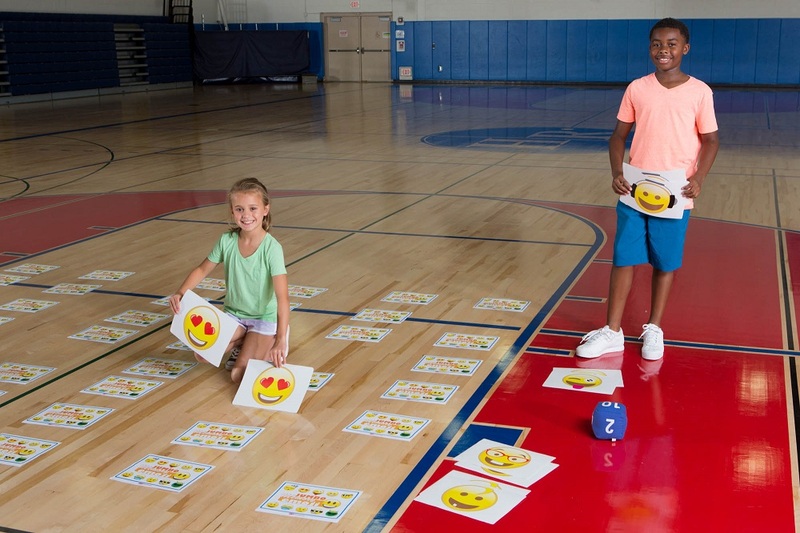 This entry was posted in PE Activities & Games, PE Central, STEM & Makerspace and tagged basketball, Education, elementary school, heart rate, Maker, Makergym, Makerspace, middle school, PE, PE activity, PE Central, PE lesson plan, PE program, pe teacher, PE Teachers, PE unit, physed, physical activity, Physical Education, speed stacking, STEAM, STEM, STEM in physed, STEM in sports, teacher, Teachers by S&S Worldwide. Bookmark the permalink.